I picked it up in a trade, but you can find them on Amazon, I have had this optic since around February of 2013. I was able to trade some parts and some cash for the RX06, I am particularly impressed with Trijicon's build quality and overall performance. 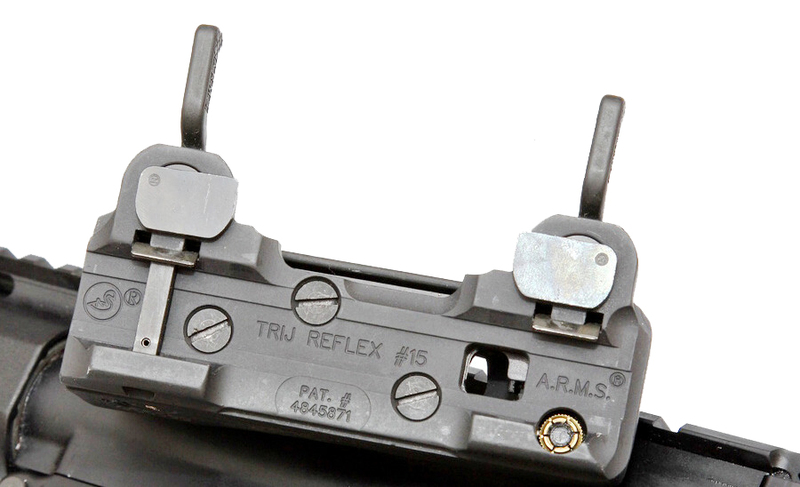 I have never had a 12.9 MOA triangle to use and the idea of having an optic that is always on, no battery required is pretty tempting. I figured it would work really well on an HD / short barreled gun always ready to go. This one came with a filter and an ARMS mount (they come that way from the factory if you can find the kit). The RX06 came in a traditional Trijicon box, with the ARMS mount and the filter. Install was pretty straight forward. I went to the range and did a 25 yard zero for the top of the triangle. That's how it looks without the filter on. With the filter on you can swivel the round filter and adjust for UV. Without the filter on is the way I mostly ran it since it can get bumped and the filter will not allow for the user to see anything other than the triangle (black or green background). 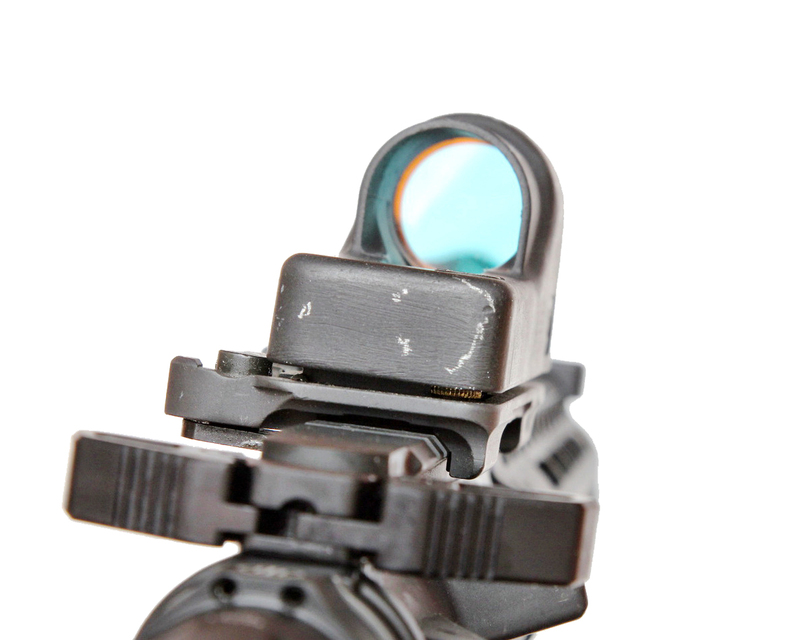 Above is the optic with the filter on. 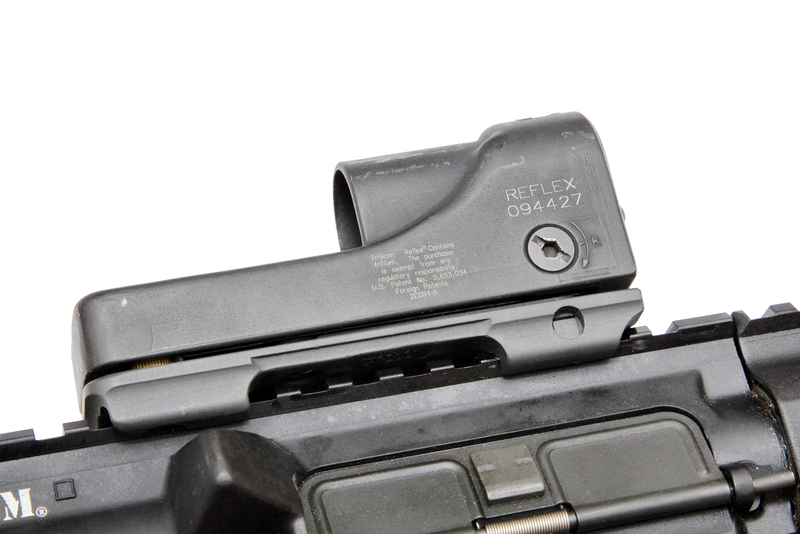 Above is the optic with the filter off. 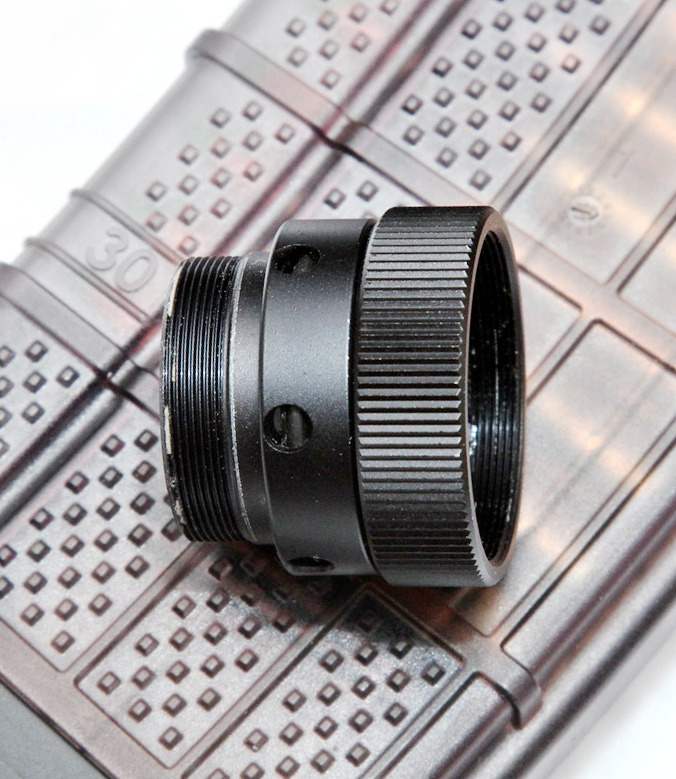 Above is the filter itself, screws into the housing of the optic, use the large knob to rotate for preferred setting. 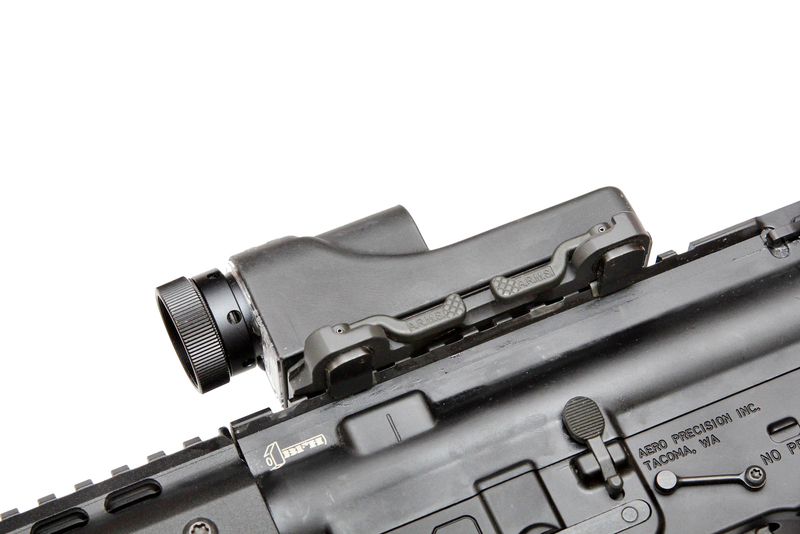 The ARMS mount installs the optic at a perfect eye level, obviously predetermined from Trijicon that way. I have removed the mount for cleaning and re-installed it several times in the same spot, it retained zero each time. 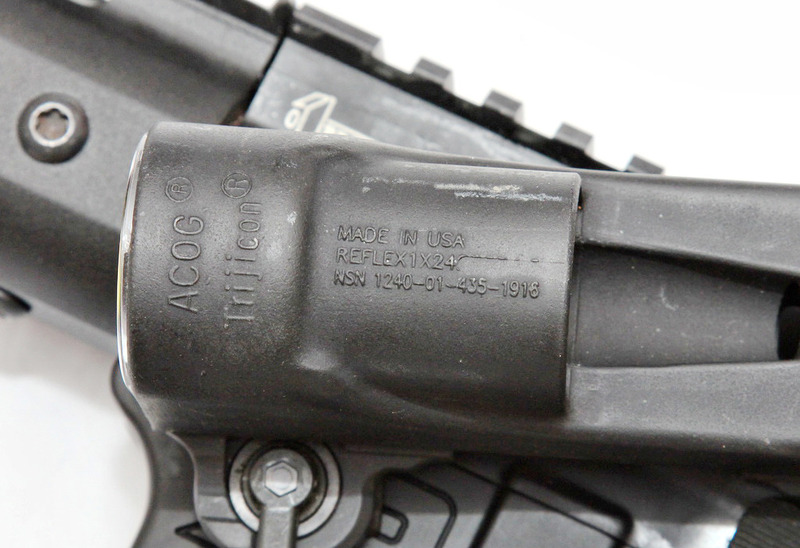 I had bought this optic knowing I was going to attend carbine class with Kyle Defoor, I put it on my 11.5 BCM upper'd AR15 pistol and took it to the class. I had to adjust the zero a little bit, obviously for a 100 yard zero at the range. The max range I got out of the optic was in the 150 yard range on man size steel targets. 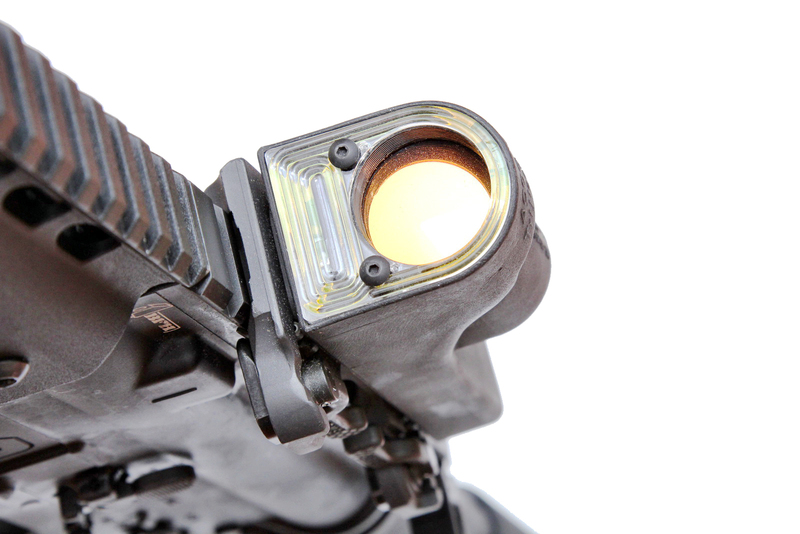 Up close the optic worked as well as it could be expected, it is not a red dot but it does well enough in other areas. 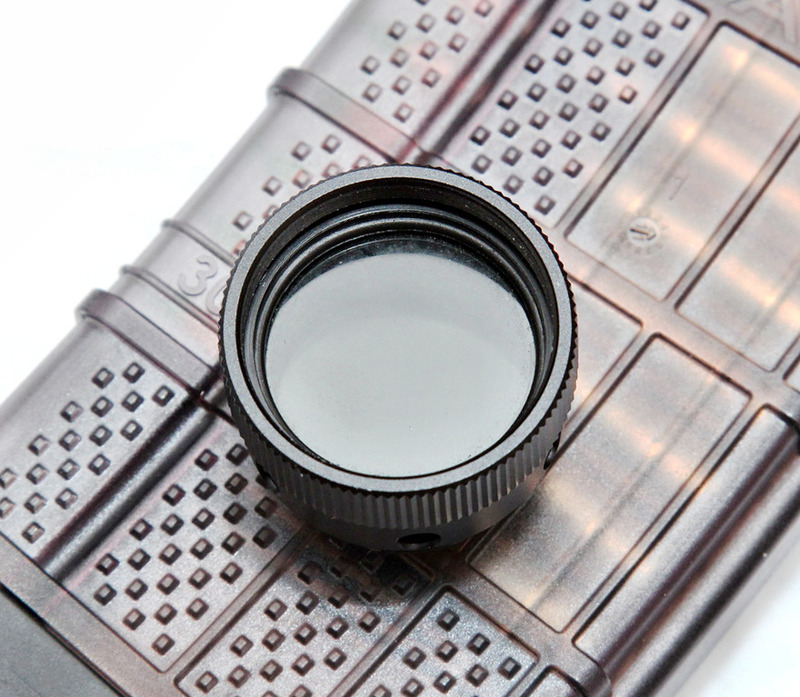 I have had no issues with this optic, once the filter was removed, not really much else can go wrong. I had purchased an RM08 for my Glock RMR project, both of them pictured above. 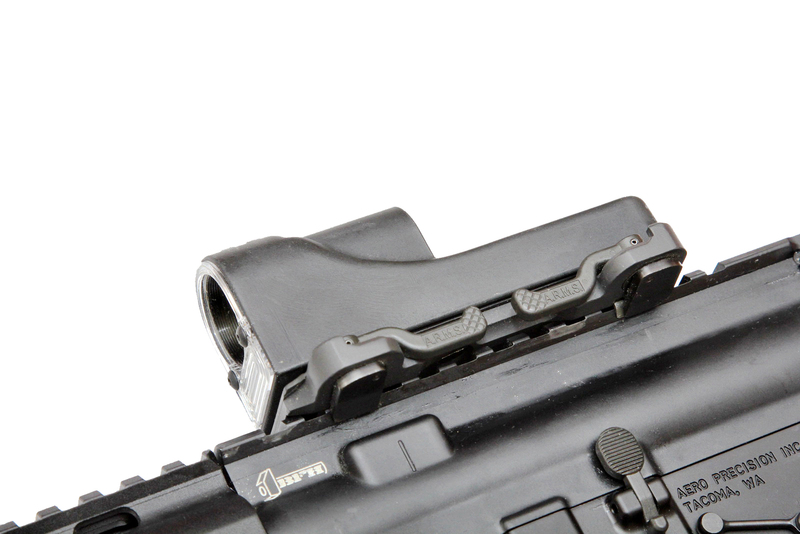 The RM08 has the same exact 12.9 MOA amber triangle. I did not do an exact comparison but the RX06 has a slightly larger eye-box and is obviously much heavier. 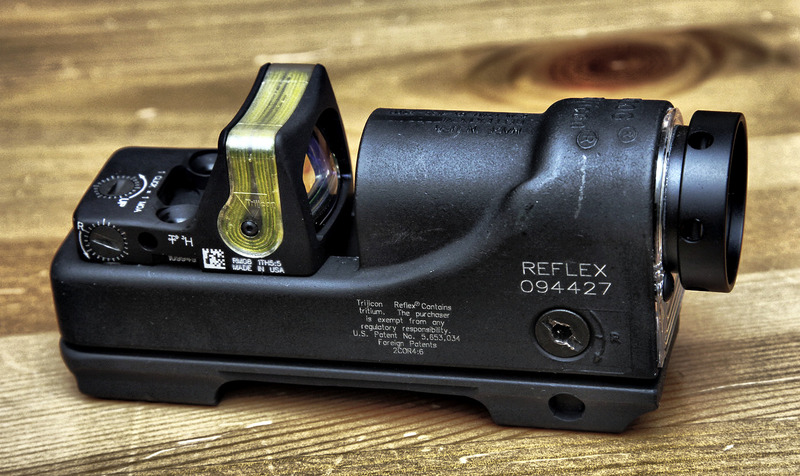 The RX06 is a very robust optic that does a lot of things that other optics, like a traditional RDS cannot. 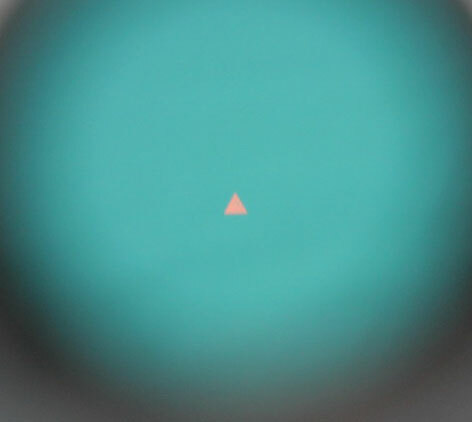 You can use the triangle to judge distance, both height and shoulder width (of an average person), it can also be just as versatile as a reticle which is setup for gauging distances. 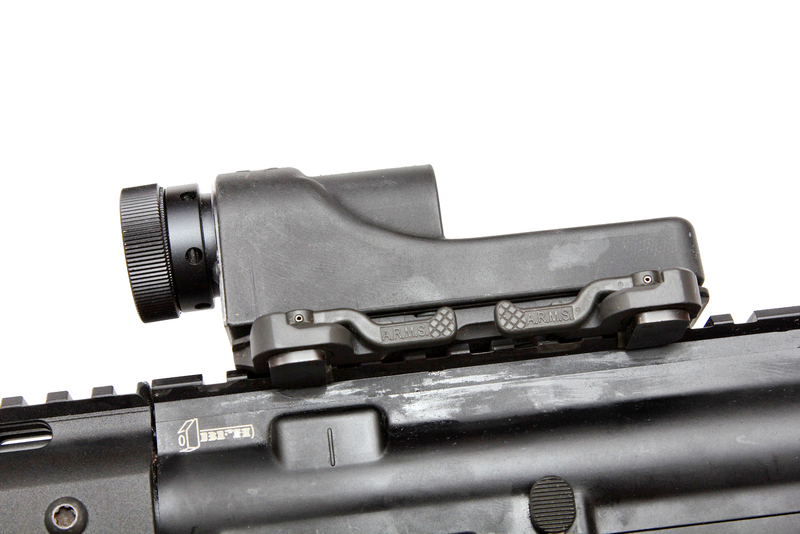 I would highly recommend this optic for those who prefer a "KISS" type platform.